Is Sean John I Am King Cologne Better Than Unforgivable? If wishes were fragrances, you would surely want to wear I am King, one of the latest set of colognes launched by Sean John. Sean John, also known as P Diddy to a lot of us, had earlier launched his first perfume, Unforgivable, which was a major hit with men and women both. With I am King Cologne, Sean has put himself firmly in the driver’s seat in terms of high quality fragrances. Sean John poses in white Armani and black tuxedo’s, and trust the rather serious looking face could make you feel that he could be posing for a rather serious product. Fortunately, the website updates itself after a few minutes, and Sean John is seen in smart blacks finding him in company with two blonds. So much for the advertising strategy, which also gives you a look-in to the kind of perfume, I am king is! Just so people know, here is a cologne that allows you to take many shades to your behavior. Wearing this, you could look rather serious and straightforward at times and on some other occasions; you could also be looking that much fun loving as a person. There is something mystical about the fragrance, which has really got people swaying about it on both the sides. Yes, that’s right. This fresh and citrus cologne has already seen quite a bit of good and bad press in its short life span. Juicy orange, cranberry, Tangerine, French Berries make up the top notes of this sweet smelling cologne. The middle notes seem to be dominated by lime pie and lemon creme with the last having sandalwood and cedar wood. Overall, the fragrance is more on the citrus-y side, but with that being said, you need to note people have absolutely welcomed it. 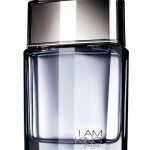 Sean John Cologne, I am King, is available in 3.4oz and 1.7oz Eau De Toilette, is priced at $74 and $57 respectively. That is the retail price, but select websites are also offering this at discounted prices. Would you believe when you know there are some websites that offer this cologne at 30% off, plus free shipping? Sounds like a swell deal! Already, you could see that this cologne has been made keeping in mind the price sensitivities of a certain set of people. Importantly, the Unforgivable “loyals” have already compared I am King cologne to the earlier release, and feel that this cologne does come up trumps over Unforgivable. The citrus-y flavor with a blast of berries has been the rocking point of this fragrance, which has thoroughly captivated the imagination of a lot of people. And yet, this really has been the cause of some bad press this cologne has got for some time now. People feel that the sharp and pungent opening, somewhat citrus-y like, with the blast of berries is too strong a dose to start with. Some people have not taken a liking to the fact that a fragrance could open on such a strong note. What happens next is noteworthy? The intermediate notes border on a vague touch of musk, which could have alleviated a bit of the headache given by the opening notes. But the touch of musk is so faint that you would not even realize something has hit you. Once the initial hype and hoopla about the fragrance is done away with, you would find that the essence of the cologne slowly slips into oblivion. These entire make up for a classical fragrance, which I am king is not. It seems like Sean John has instructed the manufacturers to come up with a fragrance on the ingredients given by him, and obediently, the manufacturers seem to have followed his instructions. I am King cologne is ideally meant for use by men, but some people feel that the limitations in the opening notes of the perfumes, and the way the fragrance fades out not too late in the day, makes it look like a perfume for women. And in spite of so much criticism, people have indeed taken a liking to the Sean John Cologne primarily because of the price point. For $74, you could really struggle to find a top class cologne in the market. With its limitations, Sean John has been able to market this perfume rather well. “When we first heard about I am King, we thought it is going to be one hell of an expensive affair buying this. When we read more about it, we found out that all it costs is $74. The fragrance itself was not bad, when you consider the money you paid for it. Absolutely recommended, for anyone who wishes to get full value for money” – says a customer who has tried I am King. Comparisons, if any to Unforgivable Cologne, the first fragrance launched by Sean John cannot be completely shunned. First, the mix of notes is so typical of Sean John and his fragrances. You would find the strong citrus-y opening note in I am King Cologne, though in the Unforgivable, you could find a milder version of the opening note itself. One place where Sean John fragrances score over other fragrance lines is the uncompromising mix of French berries, which is so typical in these fragrances.